You love and rely on your tablet, so when it gets damaged you need it fixed fast and you need it fixed right. That’s where we come in! Do you have a broken tablet screen? A charging port that won’t connect? Was your tablet dropped in the water or in need of some other repair? We have professional, Level 3 Master Certified technicians ready to handle ALL of your needs for tablet repair in Corpus Christi! Don’t toss it when you can fix it with Alpha Omega Tech Repairs! 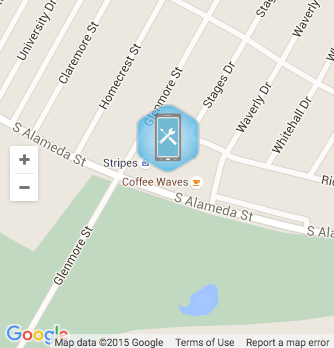 Call us today, and experience the best tablet repair Corpus Christi has to offer! The quality of the tablet repair you receive is very important to us, so Alpha Omega Tech Repairs is committed to providing high quality service from courteous and skilled tablet repair professionals. We never want you to be frustrated because your tablet isn’t functioning correctly, so our technicians are standing by to perform fast and affordable tablet repair in Corpus Christi. We offer same-day service (if parts are on hand,) and a 90 day parts warranty on every tablet repair. Whether you’ve broken a screen, have charging issues, can’t get your tablet to turn on, or your tablet simply isn’t running like it used to; you can trust us with your tablet repair. Our technicians have the knowledge and expertise to handle whatever problem you bring us! We understand that when your tablet breaks, you want to get it back as fast as possible. That is why we offer same-day service (if parts are on hand) for every tablet repair Corpus Christi! But not only do you want your tablet back fast, you also don’t want to pay for unnecessary repairs. That is why we follow a fair and up-front pricing policy and we will not charge you for repairs that you don’t really need. In addition, we guarantee the quality of our work with a 90 day parts warranty on every tablet repair. Call us today with your tablet repair needs, and experience the best tablet repair Corpus Christi can offer! We not only service tablets from every brand, including iPad, Samsung, LG, and Nexus, but we also service iPhones, Samsung Galaxy, LG, and other smartphones. All of our repairs are done the same day if we have the parts on hand and we have a large stock of common parts. If you want quick, affordable, and quality repair on tablet or other electronic device, bring it in today! 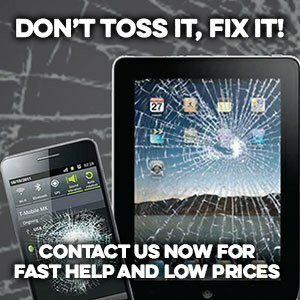 We follow a transparent, up-front pricing system that we believe is the best way to do business and provide customers a fair price for quality Corpus Christi tablet repair. We have a flat rate per tablet regardless of model and then charge the at-cost amount for the specific part your repair requires. Fair, simple and affordable pricing you won’t find anywhere else on tablet repairs in Corpus Christi!